My guarantee is simple: I'm not satisfied until you are. My reputation is the most valuable commodity I have, and I guard it zealously. Visit my guestbook and see for yourself. First things first. Avoid assuming that the trouble you are having is necessarily carburetor related. After measuring cylinder compression, ignition timing and spark strength (with a special opened up spark plug), and ensuring good fuel flow through fuel tank, pump and filter, confirm the final diagnosis with the t-shirt test. Loosely wrap a t-shirt around your air filter element as a test. If the engine runs better, then carburetion is indicated as a problem. If little to no change, repeat the test with neither t-shirt nor air filter element. Improvement in either case indicates carburetion. No improvement in either case virtually exonerates your carburetors as the source of trouble. When ready to send me your carburetors, drain them well, and include in a baggie any loose pieces. Go to my shipping prep page for details on how best to prepare for shipping. Please advise me of any modifications to the motorcycle, type of air filter used, traditional fuel mileage, and be sure to aprise me of the specific performance issues you have been experiencing and what if anything has been done so far in response. For your convenience, there is a shipping checklist here. 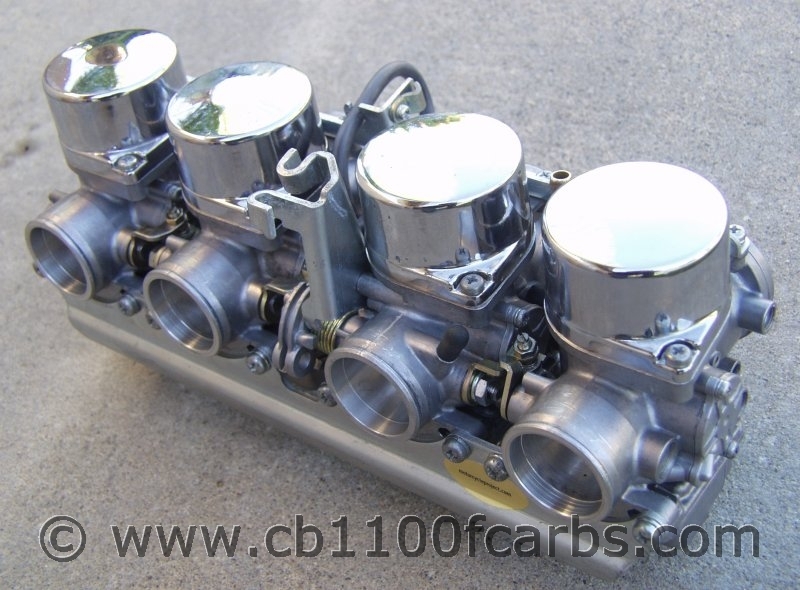 There are a lot of other carburetor rebuilders out there, and some very capable ones. Naturally, each of us believes we have the most to offer. Don't choose on the basis of hype or rhetoric. Look at the customer feedback, sense the depth of background/experience (choose a rebuilder who has a powersports technician background, that is, who knows the bikes the carbs go on and didn't just one day decide to rebuild carburetors), and gauge the rebuilder's integrity. Everything else is marketing. There seems to be a little infighting, if that is the correct term, among rebuilders. I try hard to stay out of it, so please don't ask me to comment on other carburetor rebuilders. It's an unfortunate and frustrating situation with goods returning to Europe and Scandinavia, and their prohibitively high customs duty. I have learned that marking the box a certain way helps, and I do that whenever possible. Please don't ask me to falsify customs documents. I feel your frustration and angst over this, believe me, but my life as a Christian prevents me from taking that tack. If there is anything else I can do I am willing to do it, simply let me know.